Let’s start with the new releases. In first place is Alien: Covenant, Ridley Scott’s contentious follow-up to his already contentious Prometheus. 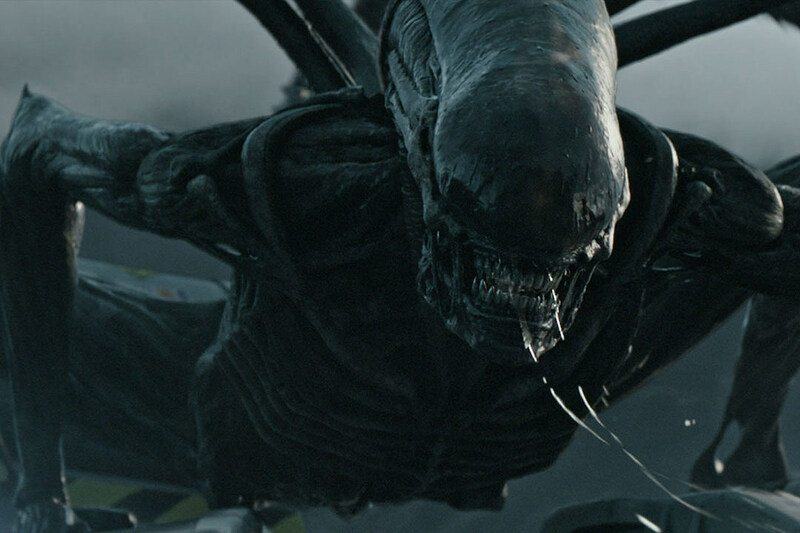 One the one hand, the film’s $36 million opening weekend is the third-biggest opening in the franchise’s history, but it also places it solidly behind both Prometheus and Alien vs. Predator, two movies regarded by some (not me) as the worst entries in the franchise. That’s probably not what 20th Century Fox was hoping for, but there are still reasons for optimism. The budget for Alien: Covenant is actually lower than its predecessor, coming in at $97 million as opposed to Prometheus’ $130 million figure. There’s also the international market. Alien: Covenant has already grossed $117 million worldwide, suggesting that the future is bright for another Alien prequel. In third place with $12 million is Everything, Everything, the big screen adaptation of Nicola Yoon’s YA novel of the same name. With a budget of only $10 million, Everything, Everything is on pace to a be a solid summer sleeper, a nice win for anyone rooting for the film’s diverse cast and crew. That $12 million puts the film on equal footing with other YA adaptations such as The Host and The Mortal Instruments at only a fraction of the cost, a pretty good showing for the Warner Bros. release. Those films ended up at around the $30 million total on the domestic market, so keep that in mind as a benchmark in the weeks to come. In fifth place with $7.2 million is Diary of a Wimpy Kid: The Long Haul, the fourth film in Fox’s Diary of a Wimpy Kid franchise. These movies have become a pretty safe investment for the studio: each film cost roughly $20 million to make and grossed between $70 million and $80 million at the box office. That being said, The Long Haul is the softest opening in the series to date, only picking up half of what 2012’s Diary of a Wimpy Kid: Dog Days earned. It’s worth wondering if that five-year gap between movies might’ve killed the momentum of the franchise; after all, the first three films were released like clockwork in 2010, 2011, and 2012. Too much time away for viewers? That does it for the new releases, so let’s circle back to the familiar faces on this list. Guardians of the Galaxy Vol. 2 finished just behind Alien: Covenant with $35 million, bringing its domestic gross up over $300 million. One more good week should push the film up above the original Guardians of the Galaxy’s $330 North American total, and then it becomes a question of how long it can hold out in an increasingly crowded summer season. Snatched, Amy Schumer’s action comedy, finished in fourth place with $7.6 million, inching it closer to the break-even point on its $42 million budget. It’s definitely a sophomore slump for the talented writer/actor, but something tells me this is the kind of movie that might see a longer life on VOD than it did in theaters. In sixth place is Guy Ritchie’s King Arthur: Legend of the Sword, the movie Ghost in the Shell producers light candles to every night before bed. King Arthur only brought in $6.8 million in its second weekend, and to add insult to injury, the international box office isn’t picking up the slack, bringing Ritchie’s film to only $93 million worldwide. That’s not what Warner Bros. had in mind when they dropped $175 million on a new King Arthur franchise. In seventh place is The Fate of the Furious with $3.1 million, raising questions as to whether the film ($219m) can catch Fast & Furious 6 ($238m) at the domestic market. Not that it matters, really; The Fate of the Furious is about to hit a billion dollars on the international market alone. At this point, the pecking order is little more than bragging rights. After weeks and weeks of finishing in sequential order, it seems that The Boss Baby and Beauty and the Beast are going to exit the way they entered. The two films finished in order yet again, grossing $2.8 and $2.4 million in eight and ninth place, respectively. Beauty and the Beast is only a few days away from cracking $500 million at the domestic box office and is now one of the ten highest-grossing films of all time with $1.2 billion. And finally, How to Be a Latin Lover rounds out the Top 10 with $2.2 million, bringing its total to just shy of $30 million in North America. A strong showing for the increasingly international star Eugenio Derbez. Did You Catch the Hidden Joke in the ‘Alien Covenant’ Prologue?